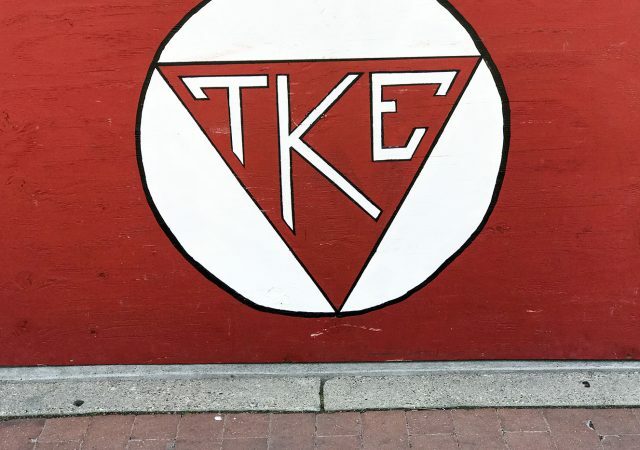 An update and clarification on greek life terms and social probation sanctions. Sigma Pi is hosting its first major “Suicide Awareness Week” in honor of its philanthropy The Amazing Day Foundation. Those who knew Wolf gathered in his honor and were able to listen to him sing one more time. Wolf was remembered as humble, entertaining and intelligent. Tau Kappa Epsilon, Gamma Phi Beta and Pi Kappa Alpha won their brackets during the Greek Week basketball tournament, winning points for their districts: District 1 (dark blue), District 2 (red) and District 7 (light blue).